Hardik Pandya scored 50 runs and picked 3 wickets in the match for MI. The 31st match of the IPL 2018 saw Royal Challengers Bangalore (RCB) hosting Mumbai Indians (MI) at the M Chinnaswamy Stadium in Bengaluru. MI had defeated RCB when they had hosted them at Wankhede Stadium on April 17th. Rohit Sharma, MI skipper won the toss and immediately chose to field first, something all the teams winning the toss have done at Chinnaswamy Stadium previously, this season. MI brought in Kieron Pollard for the injured Evin Lewis. 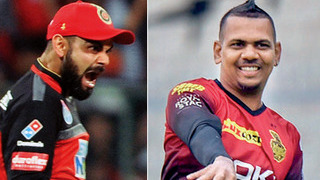 RCB, on the other hand, brought in Washington Sundar and AB de Villiers too missed the match, due to his viral fever. McClenaghan removed Quinton de Kock for 7, though Manan Vohra took JP Duminy to the cleaners and had added 38 runs in 5 overs. McCullum (37 in 26 balls) and Virat Kohli (32 in 26 balls) added 60 runs for the 3rd wicket and had put RCB on road for 200+ runs. However, McCullum was run out by Hardik Pandya, who then removed Kohli, Mandeep Singh and Sundar in quick succession. As RCB was looking down the barrel, Colin de Grandhomme dispatched his country mate McClenaghan to all parts of the ground, scoring 24 runs off him, including 3 sixes off the last two balls (incl. free hit). RCB scored 167/7 in 20 overs. 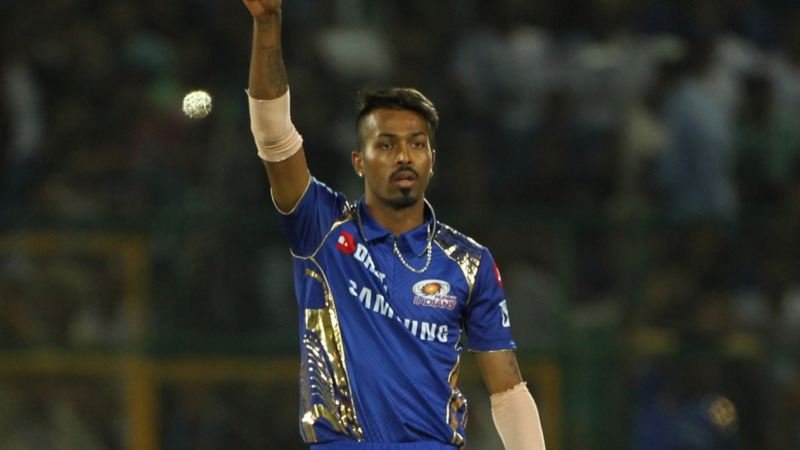 Hardik Pandya was the pick of MI bowlers with 3/28. MI was looking for a quick start on a pitch that was turning and getting slower and slower. But Southee had other plans, as he bowled Ishan Kishan for a golden duck. Then came Umesh Yadav and his knack of multiple strikes in one over. He first removed Suryakumar Yadav (9) LBW and then had MI captain Rohit Sharma caught behind for a golden duck to jolt MI, as they were reduced to 21/3. Duminy and Pollard tried to rebuild a bit, but Siraj removed a very jittery Pollard for 13. JP Duminy scored 23, but was dismissed run out, as he took on the arm of Umesh Yadav. 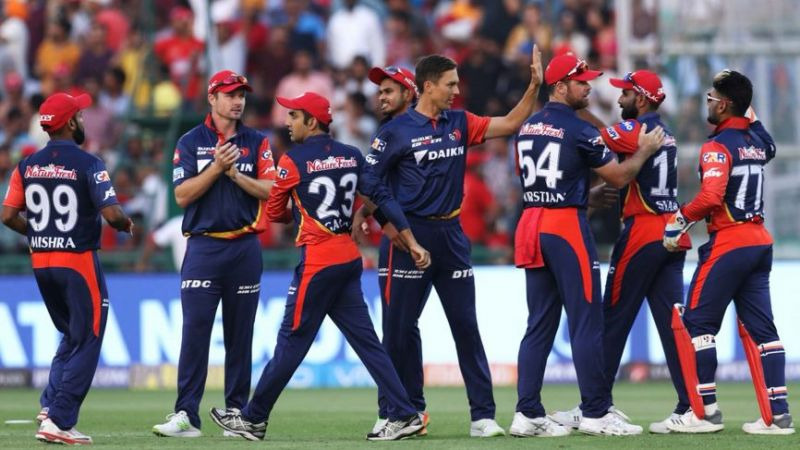 MI never seemed comfortable in the chase and though Hardik Pandya hit 50 off 42 balls and Krunal hitting 23 in 19 balls; RCB bowlers showed a better death overs temperament, which was backed up by some brilliant fielding at the boundary and MI were out of it by the time last over came to close. In the context, McClenaghan’s last three balls which went for 3 sixes were the difference between a win and a loss for the Mumbai Indians. Tim Southee (2/25), Umesh Yadav (2/29) and Mohd Siraj (2/28) were the best bowlers for RCB. RCB won the match by 14 runs and kept their hopes alive of playoff qualification. MI, now need to win six out of remaining six matches, to have an outside chance of making it to final four.